SoM-4463 B1 | EMAC Inc. The SMARC-sXBTi Computer-on-Modules has been developed to comply with the SGET specification and is equipped with Intel® Atom™ processor E3800 series and up to 8 GB RAM, optional with ECC. The SoM-4463 B1 is an embedded CPU module that fully complies with the SOM-ETX form factor standard. The new CPU module supports Intel N455 1.66 GHz single core/D525 1.80 GHz dual-core +ICH8M chipsets which supports PCI and ISA interfaces. 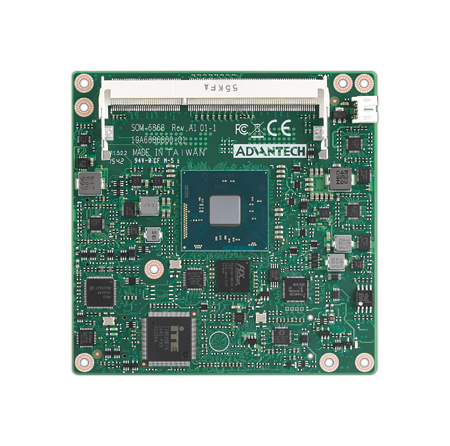 In a basic form factor of 95mm x 114mm, the SoM-4463 B1 provides a scalable cost effective and easy to integrate solution for customer applications by utilizing a plug-in CPU module on an application-specific Custom Carrier Board. The SoM-4463 B1 is an embedded CPU module that fully complies with the SOM-ETX form factor standard. The new CPU module supports Intel N455 1.66 GHz single core/D525 1.80 GHz dual-core +ICH8M chipsets which supports PCI and ISA interfaces. 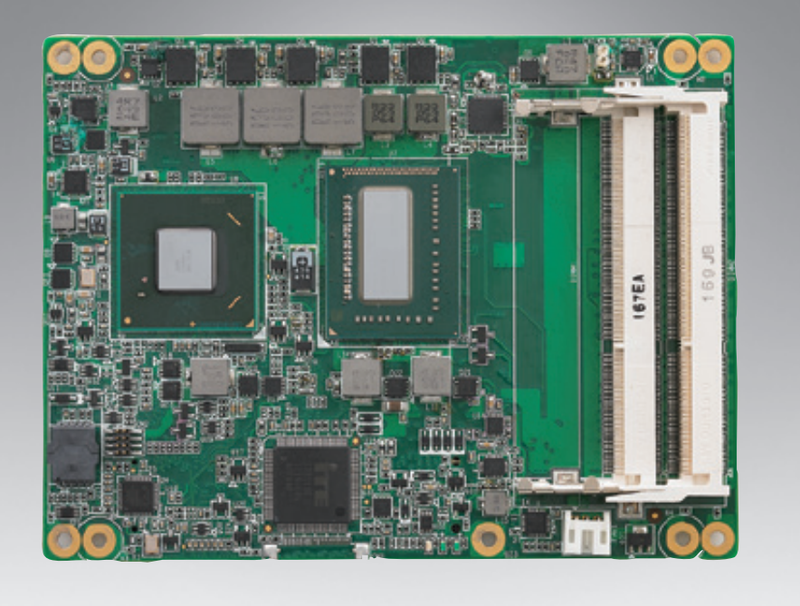 In a basic form factor of 95mm x 114mm, the SoM-4463 B1 provides a scalable cost effective and easy to integrate solution for customer applications by utilizing a plug-in CPU module on an application-specific Custom Carrier Board. 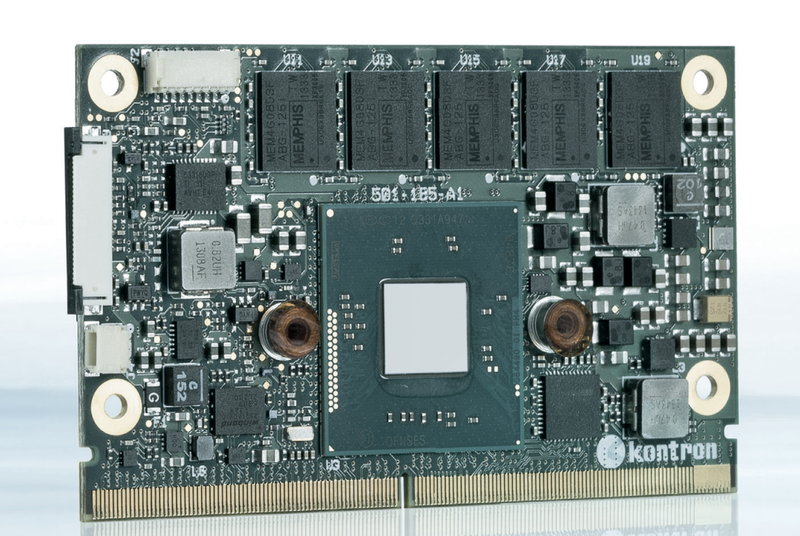 The SoM-4463 B1 with advanced I/O capacity incorporates PCI, ISA, IDE, USB 2.0, SATA, and LVDS interfaces. The SoM-4463 B1 complies with the "Green Function" standard and supports Doze, Standby and Suspend modes. The small size (95 mm x 114 mm) and use of four high capacity connectors based on the proven SOM-ETX form factor, allow the SOM-ETX modules to be easily and securely mounted onto a customized solution board or our standard SoM-DB4400 development board.